Prominent people reveal their philosophy of life through the person, book, place and poem that have had the most influence on them. 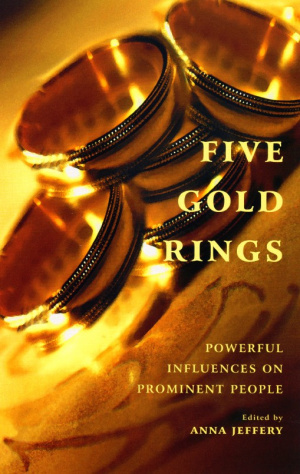 Five Gold Rings by Anna Jeffery was published by Darton Longman & Todd in October 2003. The ISBN for Five Gold Rings is 9780232525281. Be the first to review Five Gold Rings! Got a question? No problem! Just click here to ask us about Five Gold Rings.